The purpose of this post is to help you plan for next month, so you are receiving information in February for March. 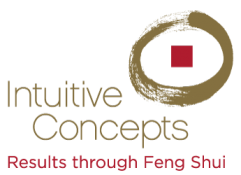 The Feng Shui month begins on March 6 through April 4. It is a one-water month in 2019’s eight-earth year. Negative attributes of the water/earth combination (earth blocks water) implies business partner disputes, overwork, hasty decisions, and don’t loan money or act as guarantor. Health concerns that can manifest involve the blood and kidneys. The positive side of 1:8 is wealth. If a disagreement arises, either agree to disagree or take leave and compose yourself to continue the discussion later. Be conservative with your intake of liquor or there will be consequences. If you work more than usual, make it count. Instead of being resentful be grateful. If you are rushed to make a decision and it doesn’t feel right, take leave and process your thoughts. When I worked in disaster recovery, I had a sign on my desk “your lack of planning does not constitute my emergency.” It didn’t always work, and it gave me the perspective to be respectful and graceful even if others weren’t with me. It was my choice not to stoop to their level (fight fire with fire). Don’t loan money or sign for others is self-explanatory. Typical blood issues are sugar, infection, anemia, bleeding, etc. Stay on top of any issues, consider a cleanse, and consult your healthcare professional. Same with kidneys as there is a increased risk of kidney stones. It isn’t uncommon during a one-water month for there to be wet weather, heavy snow/ice, mud slides, etc., affecting the ground and travel. Be present to your surroundings. There are certain numbers we pay attention to because when the one flies in, the surrounding numbers also change. That’s why this discipline is called flying stars. Those numbers are 2, 5, 7, and others explained below). I’m listing where these numbers appear this month so that you can avoid the areas or implement a remedy. Note: These are generic recommendations based on timing. My clients know there is more to it than this. Their working or living environments have been analyzed, diagnosed, and we’re working on a specific and strategic action plan. So clients, utilize what you like below; and only apply the remedy if it doesn’t conflict with your implementation plan. Let’s chat if you have questions. Two flies into the NW. Health concerns can be headaches, memory, prostate, and chest related. Expectant mothers should avoid this area this month. Five flies into the South. This is not good for relationships and can activate bickering so anticipate miscommunication and misunderstanding. The option is to move those conversations or activities elsewhere. Seven flies into the SW. If you have doors or windows here, take precautions to mitigate burglaries. If you have valuables here, there may be theft. This implies health concerns such as digestive, OB/GYN, blood pressure and physical injuries. If you use this area four hours or more a day or are sleeping here, consider using another room. A water fountain or the colors blue or black will help this month (although water can disrupt sleep). I’m throwing in one more area. Four in the NE can work in your favor or not. It helps with spiritual endeavors. It hinders communication and causes conflicts. Don’t discuss money in this quadrant this month. SE is good for romance, but disagreements are likely as are an affair leading to scandal. West is tough on relationships especially where an issue has been brewing and is not resolved. The energy supports a new relationship surfacing, students, academia, writing, and recognition for such endeavors. North is also good for students, those involved with academia, and learning something new. East is the winner this month. It’s good for getting noticed, career growth, and wealth progression. If you receive emails about March being a money-bags month, don’t believe the hype that it is a super rare occurrence. The last one was December 2017 which I wrote about here. So have fun with it but don’t take it too seriously. Mercury Retrograde isn’t Feng Shui but is worth noting. It is March 5 through 28th. Backup your computers. Anticipate delays, miscommunication, and lost messages. Perform auto, appliance or any major repairs (including construction and remodeling) before or after this period (minimum of a week). Starting something new during Mercury Retrograde is not a good idea as it can be wrought with problems. Yes this is very helpful, practical, and valuable information, and I am very grateful you are taking your time to do this! I am mostly done enacting the 2019 Feng Shui changes per your video for my home already and we are all feeling the difference! Jacob and Dennis are especially sensitive to the energies this year and they are really noticing the positive changes after I place the remedies, which I always do with intention and affirmations. All is well with us. I hope you are doing great as well. Much love to you and many blessings. I miss you!! Thank You!. I love this monthly update. Thanks Diana, this is very interesting and helps me be proactive!